I had to stop by to work late one evening the other week, and what I was wearing was something I'd consider to be a rather good simple casual wear you can wear for almost anything on your free time. 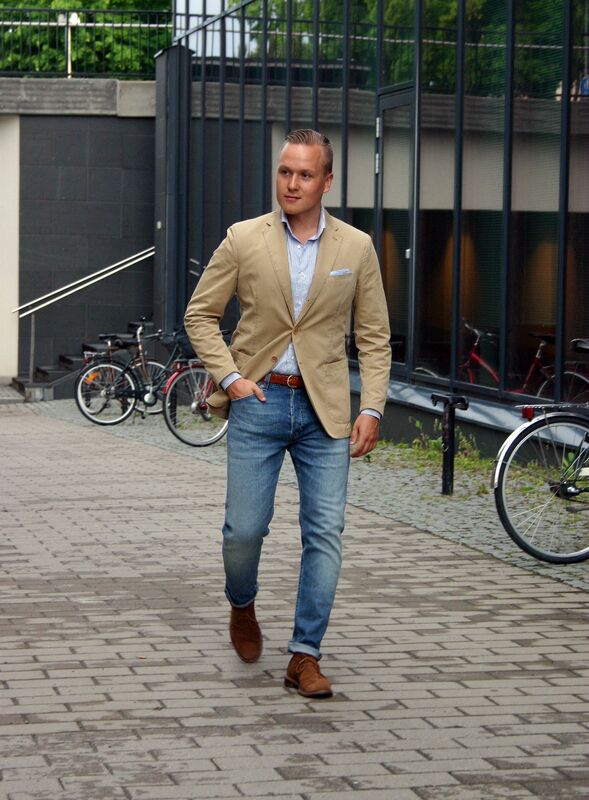 A washed cotton jacket, jeans and suede chukkas paired with a casual shirt and a belt. The jacket is from Cantarelli, shirt from SuitSupply, belt from Berg & Berg, jeans from Wrangler, socks from H&M and unlined suede chukka boots from Alden. 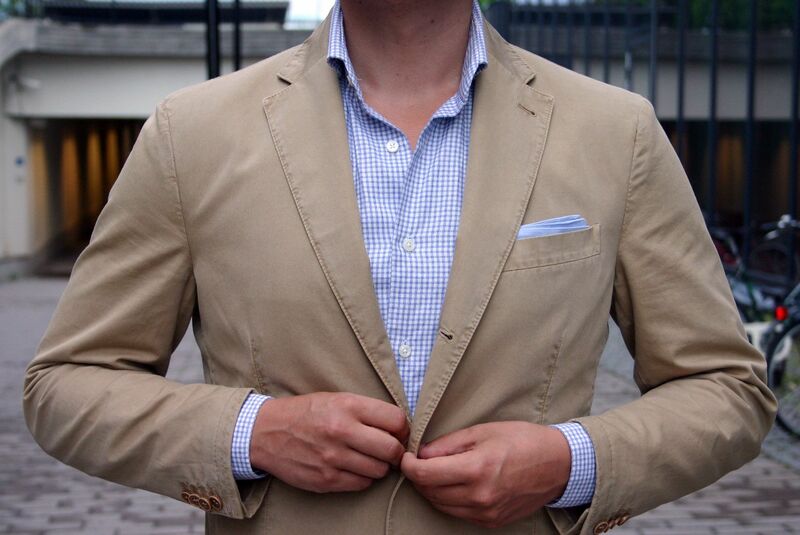 The somewhat heavier blue and white gingham check shirt is pretty much a perfect partner for this jacket for a combination like this. If I didn't own this shirt, I'd have probably gone for a denim or chambray shirt. 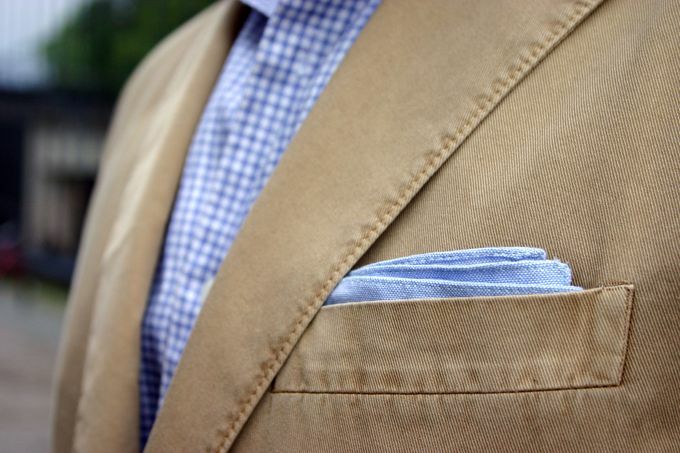 Light blue cotton pocket square to go with the casual and somewhat street ish theme. 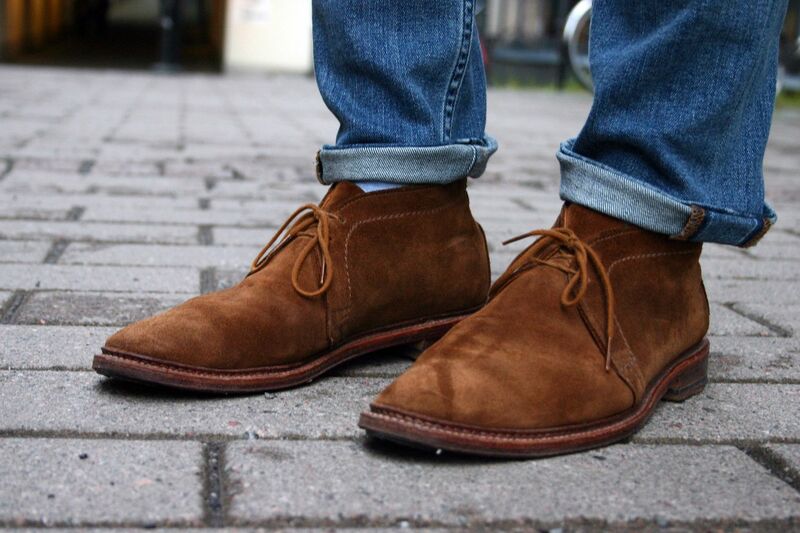 And again, my handsome Alden chukkas. These shoes are just made of pure win.